They listen, They learn. 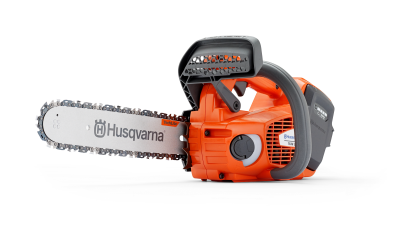 That's how Husqvarna created its range of chainsaws with functions that are based on real needs. In fact, Husqvarna's development never stops and neither does their collaboration with professional forestry workers who work with Husqvarna machines. Every model gives you power, performance and design excellence you expect from Husqvarna. Developed for tree care professionals and skilled landowners. Loaded with raw power for efficient usage. Efficient and exceptionally easy to start and maneuver. Ideal for homeowners to do light cutting and hobby work. Perfect for tree pruning, shaping and removal. Professional performance, no gas required. For more information on Husqvarna's professional saws, visit this page. 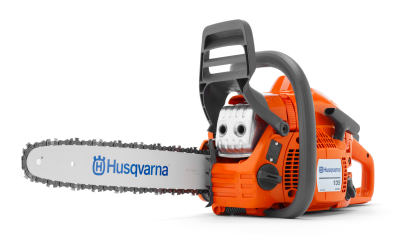 For more information on Husqvarna's powerful saws, visit this page. For more information on Husqvarna's all-round saws, visit this page. For more information on Husqvarna's casual use saws, visit this page. For more information on Husqvarna's top handle saws, visit this page. For more information on Husqvarna's Battery Series saws, visit this page.